This fabulous bronze lamp is by Adolphe Petit-Monsigny and was made during the Art Deco period. 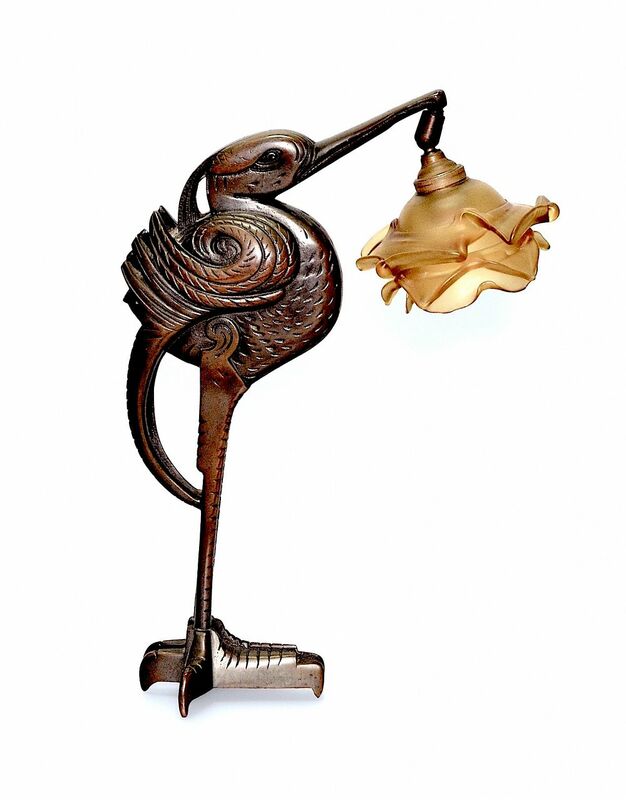 The lamp is cast in bronze in the shape of a stylised ibis holding an amber glass flower shade in its beak. 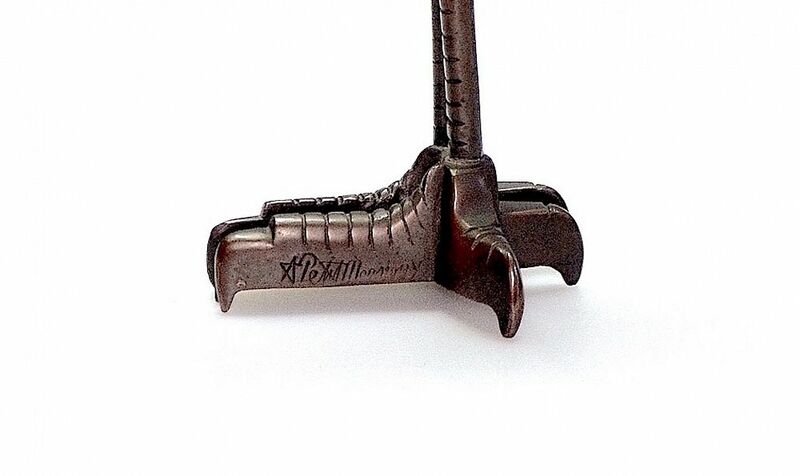 The lamp is signed "A Petit Monsigny" in script on the side of one of the feet. A really unusual lamp. His workshop was at 50 rue Daguerre in Telemly, Algiers.